Last week Xbox made a stir with branded entertainment project ‘Survival of the Grittiest’, a 24-hour endurance challenge promoting ‘Rise of the Tomb Raider’. 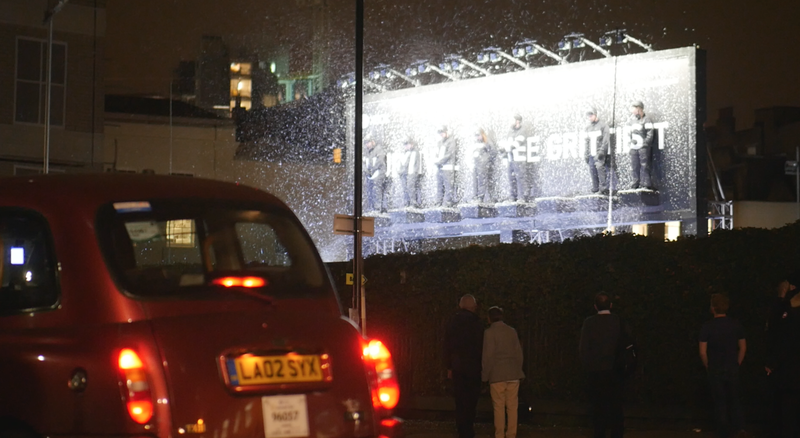 Craft London, in a collaboration with m:united/McCann London, strapped eight Lara Croft fans to a billboard in Southwark, pitting them against extreme weather conditions controlled by the voting public. After a gruelling 20.75 hours, one contestant was crowned victorious. Producer, Lois Newcombe, and Head of Integrated Production, Sergio Lopez reveal the behind-the-scenes work that got the whole project, from conception to completion, created in just four weeks. Throughout the process the billboard was streamed live on a custom-built website. With eight contestants, live voting on four extreme weather conditions (wind, rain, snow and heat). There were a number of variables which had to be planned in meticulous detail. Sergio comments: “On the day everything went as smooth as we could have wished for. We’ve still got scars from when live streaming was first introduced as a branded content technique back in the day, so with our joint past experience we were able to put together an exhaustive scenario plan. The real challenge was that we had no idea how long the experience would last. The contestants could have all jumped within two hours or lasted a number of days. Within an unknown space of time we also had to keep an audience engaged and have the capacity to react effectively to public interaction with the project. To effectively plan for all of the outcomes in the experience a section of the billboard was erected approximately a week in advance. Custom offices were positioned behind the billboard, housing a 40 strong crew. This not only included the Craft and M:United team but a film crew, weather effects operatives, online and social team, medics and a health and safety team. During the experience contestants were monitored constantly to ensure their safety.